HBCU SpringComing benefit for the HBCU Puissance Scholarship Committee Inc. by HBCU Puissance Scholarship Committee Inc.
HBCU SpringComing benefit for the HBCU Puissance Scholarship Committee Inc. This fund is raising donations from our community, Our alumni, Our family towards the Puissance HBCU Scholarship that awards monies for students attending Historically Black Colleges and Universities in the Fall of 2019. Eligible scholars hail from the metropolitan New York area and the city of Newark, NJ. Help us reach our goal of FIVE Scholarships for our 5 Year Anniversary! 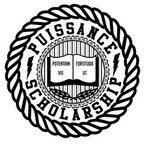 All monies raised will fund the Puissance HBCU Scholarship for the 2019 term.